It is for others to deal with statistics of how many bullets were used and what the cost of a battle-tank might be. It is the human cost we consider here. 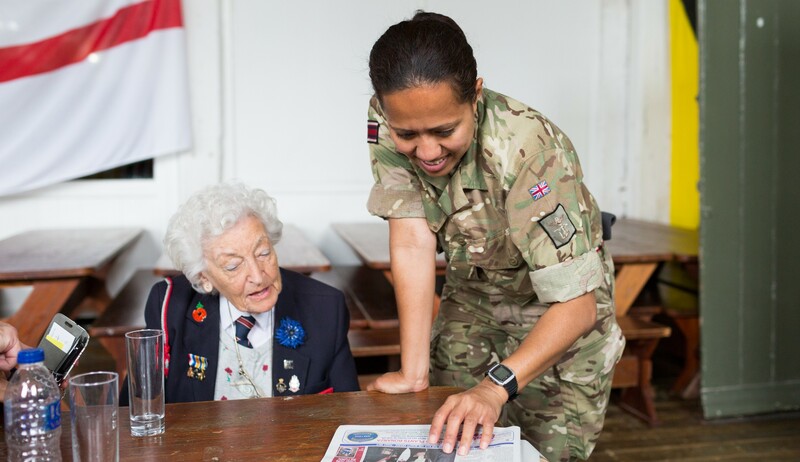 Although the landings saw limited casualties relative to the amount of men successfully put ashore, the following weeks saw some of the toughest fighting of the Second World War. Despite overwhelming air superiority, some British & Canadian infantry battalions suffered casualties exceeding those of the Somme battles in 1916, some 28 years earlier. Ranville Cemetery (near Pegasus Bridge) alone contains 2,235 British and Commonwealth servicemen of the Second World War; 97 of these remain unidentified. Also contained there are 330 German graves, along with a few burials of other nationalities. The Normandy American Cemetery and Memorial is built on the site of a burial ground established by American forces on 8th June 1944. This is located east of St Laurent, directly overlooking Omaha beach where so many lost their lives. It contains the graves of 9,387 US Soldiers; most of these were killed in the landings and ensuing operations. Inscribed on the Memorial walls are the names of a further 1,557 soldiers posted 'missing in action'. In this Colleville American Military Cemetery are the graves of two brothers, Robert and Preston Niland. A third brother, Edward, was not in fact killed in action but had been taken prisoner in the Far East. These brothers were the inspiration for the acclaimed motion picture “Saving Private Ryan”. Another notable grave is that of Brigadier General Theodore Roosevelt who was the oldest combatant to take part in the D-Day Landings. At the age of 56, he led his troops in the first wave of attack at Utah Beach, helped to breach enemy defences for the rapid advance inland with minimal casualties. For his valour and leadership under fire, Roosevelt was awarded the Congressional Medal of Honor. He died on 12th July. Certainly it was the landings on OMAHA Beach which suffered the highest casualties of D-Day. Even today, precise numbers are not clear for the cost of taking Omaha Beach. Perhaps it is natural that most attention is given to the invading forces, those whose task it was to bring liberation to a suppressed continent. Nevertheless, there were the French civilians and of course the defending German armed forces who also suffered a high rate of casualties. 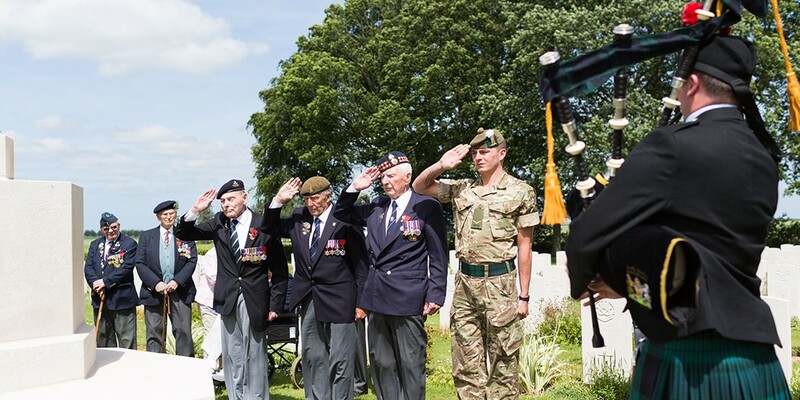 The Free French armed forces within the allied invasion had to accept they were firing on their homeland and contributing to casualties amongst their own people. France was liberated, but at a high cost in human life. Out of nearly 12,000 allied aircraft available to support the Normandy Landings, 14,674 sorties were flown on D-Day and 127 aircraft were lost. For the airborne landings during that first night, 2,395 RAF & USAAF aircraft were in action. By the end of the fifth day, a total of 326,547 allied troops had been landed on the shores of Normandy, with 54,186 vehicles and over 104,000 tons of supplies. The Royal Navy lost 24 warships throughout the invasion effort. In addition, 35 merchant ships were sunk and a further 120 ships damaged. When we talk of ‘casualties’, this is generally accepted to include all those who are killed, wounded, missing in action (bodies not identified) and those combatants taken as prisoners of war. To this day there does not exist an official and finite quantity for D-Day casualties; the main reason for this was the sudden and dramatic circumstance not allowing records to be kept. The rapidly shifting scenes and varied combat sites all along the coastal area made accurate accountancy of casualty rates impossible. Many combat troops were misplaced amongst different units, and wounded personnel were moved quickly with a proper medical priority causing disregard for counting. During the preparation period and run-up to D-Day, Allied air forces lost nearly 12,000 men in over 2,000 aircraft. Although this effort paved the way for the success of the Landings, the casualty figures are unlikely to be included under that heading. The original but broad allied casualty figure for D-Day itself is estimated at 10,000 men, including 2,500 killed in action. More recent studied analysis carried out in the United States has significantly uplifted this figure. A listing of individual names leads to a more accurate assessment of a total American Armed Forces death toll of 2,499 on that first day, with a further 1,915 of other allied nationalities including mainly British. In round figures, it is believed the British took 1,000 casualties on Sword Beach and a further 1,000 on Gold Beach. Other significant British losses were 700 killed and wounded during the airborne assault. Canadian losses on Juno Beach are recorded as 340 killed, and a further 574 wounded. Taking a wider view, during the Battle of Normandy over 425,000 Allied and German troops were killed, wounded or went missing. 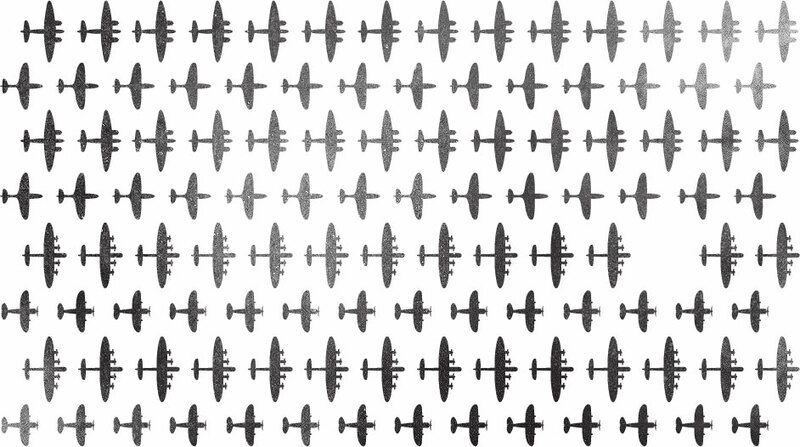 This figure includes around 210,000 Allied casualties, with nearly 37,000 killed amongst the ground forces and a further 16,000 deaths amongst the Allied air forces. German losses of around 200,000 were killed or wounded; a further 200,000 were taken prisoner during the Campaign. Looking just at the fierce fighting which took place around the Falaise Pocket (or Falaise Gap) in August 1944, the German Army suffered losses in excess of 90,000 men, including those taken prisoner. French civilian casualties are even more difficult to measure accurately. Most civilian casualties resulted from Allied bombing, especially in and around Caen. It is believed that between 15,000 and 20,000 French civilians were killed during the Normandy Campaign, although many more fled their homes to escape the main combat area. Those who were able to return found extensive destruction left in the wake of the allied advance to Paris. The death rate was very significantly held down by advances in battle field medical treatment. Medical personnel were brought into the combat area within a few days of D-Day. 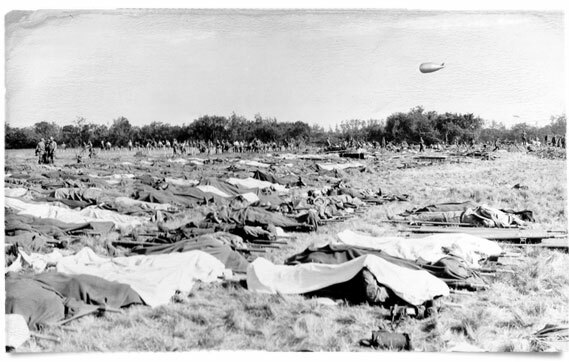 Facilities were crude and makeshift, with casualty clearing stations erected in large canvas tents. 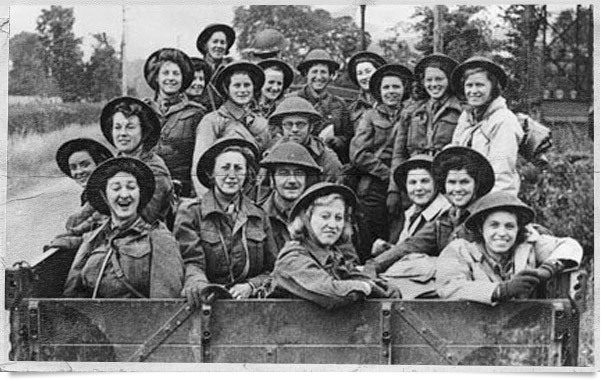 "We were held back in Southampton until our boys had secured the beach area and were on their way to Bayeux. I crossed the Channel on the Llangibby Castle which then anchored about four miles offshore. When it began to get dark the Captain was in a hurry to return to Port and there seemed to be some uncertainty how we would get to the beach. In the end we were ordered onto the scramble net. "So there I was: in full kit of tin hat and boots, with a heavy pack strapped to my back, climbing down to the landing craft below. There was quite a swell and the landing craft was banging into the ship’s hull. Of course there was a fear of falling into the water and you might think it was a tense and frightening situation. Yet there was a great sense of fun, with lots of banter and good humour. We managed to drop into the landing craft, with plenty of assistance from the marines! By the time we arrived at the beach it was dark; the order was shouted to quickly run up the beach to get into cover. Have you ever tried to run uphill through soft sand in heavy boots and carrying a full pack? Anyway, we made it, then spent the night on the floor of a casualty tent which had just been set up for our use." The development of antibiotics was undoubtedly one of the greatest medical advances of the 20th Century. In 1928 Alexander Fleming first observed that colonies of the bacterium Staphylococcus aureus could be destroyed by the mould Penicillium notatum, proving that there was an antibacterial agent. Fleming set about establishing the identity of the substance that was killing the bacteria, giving it the name ‘penicillin’. It was wartime necessity which forced this antibiotic into mainstream use. By 1939, Dr. Howard Florey had taken up the study of antibiotics at the William Dunn School of Pathology at Oxford University. With conclusive results, Florey recognised the need to expand production - an effective treatment for infection could be a valuable contribution to Britain’s war effort. He turned the Dunn School into something of a penicillin factory. From initially using baths, bedpans, milk churns and food tins, 700 new bespoke vessels were designed and six ‘penicillin girls’ were employed for the princely sum of £2 per week to maintain production. It was not until early 1941 that Florey felt there was enough penicillin to begin human trials. The British Government quickly recognised the critical importance of this drug. Despite involvement of British companies such as Glaxo and Kemball Bishop, war with Germany was draining industrial and government resources. Given these limitation of resources, it was not possible to produce the quantities of penicillin needed for clinical trials on humans so the Government turned to the United States for assistance. In July 1941, Howard Florey and Norman Heatley travelled from Oxford to the Peoria Lab in America with a small but valuable package containing a small amount of penicillin to begin work. Pumping air into deep vats containing corn steep liquor (a non-alcoholic by-product of the wet milling process) and the addition of other key ingredients was shown to produce faster growth and larger amounts of penicillin than the previous surface-growth method. In 1943, the required clinical trials were performed and penicillin was shown to be the most effective antibacterial agent to date. The increasingly obvious value of penicillin in the war effort led the War Production Board (WPB) to take responsibility for increased production of the drug later that year. 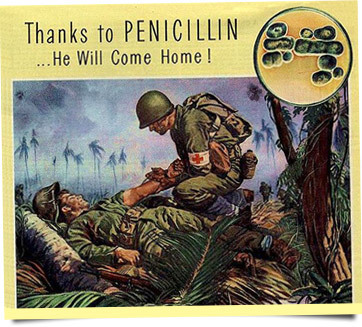 Penicillin production was quickly scaled up and available in quantity to treat Allied soldiers wounded on D-Day. As production was increased, the price dropped from nearly priceless in 1940, to $20 per dose in July 1943, to $0.55 per dose by 1946. "The casualties were brought in and we did the emergency work to get them patched up sufficiently so they could be taken back to England for hospital treatment. Abdomen wounds were a problem because it was so difficult to move them. We did arms and legs mostly; cleaned them up, put them in plaster and sent them off to the beach for shipment home. Although many of the casualties were in agony from bullet and shrapnel wounds, we could at least treat them with penicillin which had first been tested on a human patient just three years earlier. In those days it was a sort of powder which had to be diluted before use, mainly for injection. I remember treating a young French woman who had severe back injuries. When we looked at her closely, she had maggots eating her flesh. We washed the maggots away until there was clean flesh underneath and the penicillin did its work." "We were all well trained in the use of penicillin; it was so new. Battle injuries were so severe, sometimes we were just pouring the penicillin into open wounds." "The Penicillin we used was in its granular form, looking like brown Demerara sugar. It was necessary to dissolve it in sterile water so it could be injected every two hours to counter bacterial infection. There were plenty of really serious injuries and amputations so we were using huge quantities. The casualty clearing tent were I worked was really quite a size. Stretchers would typically be brought in 25 at a time, so we had two sections of 25 on each side, making a total of 100 men. There was constant movement of stretcher cases; newly injured coming in, and treated cases being moved down to the beach head for the journey back to England. With that quantity of soldiers to treat, we just worked until we dropped. People ask how we kept going, but we just did. There was a critical job to do." 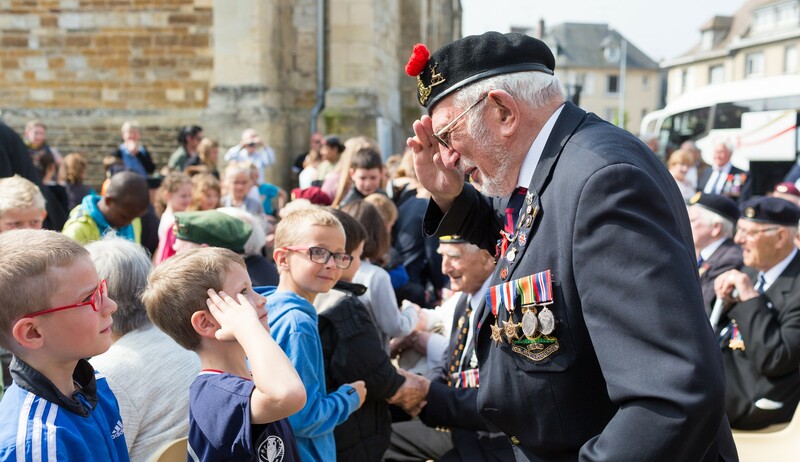 There is no doubt that thousands of allied lives were saved during Operation Overlord and the Normandy Campaign which followed as a result of this super drug. This new antibiotic was used extensively for military patients who had undergone amputation and other major operations, or had extensive wounds. QAs would administer penicillin every three hours and often would no sooner finish one drug round of penicillin injections than they would have to start all over again. Although time consuming, there was no doubt of penicillin’s effectiveness. Queen Alexandra nurses and medical officers were estimated to have saved up to 15% of lives with penicillin.